Food Safety Magazine has tracked food product recalls issued in the U.S. and Canada for the second year in a row. The information was compiled based on notices issued by the US Department of Agriculture’s Food Safety and Inspection Service, the US Food and Drug Administration and the Canadian Food Inspection Agency. In 2016, the total count was 764 food recalls, which is a 22% increase as compared to 2015. Two of the main causes for recalls were listeria contamination and undeclared allergens. 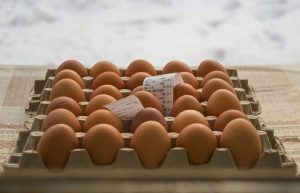 The primary categories of undeclared allergens recalls, the highest number of recalls of any form, were products containing milk, eggs, peanuts and wheat. Listeria contamination has been found in sunflower seed products and frozen vegetables and fruit. Foreign matter contamination recalls included glass, metal, plastic, rubber and wood. Foods affected included a wide range of products; meats, fruits, and frozen foods. Contamination can occur at many levels of the production process. Causes can range from a failure to maintain standards at processing facilities, noncompliance with federal food safety regulations or failure to properly management a supply chain. At this time, it is not clear whether more recalls are occurring due to better detection systems in place or whether food processing errors are occurring more frequently. Suffering an injury, whether minor or life-threatening, because of a dangerous or defective product doesn’t always entitle victims to immediate compensation. The faster you seek the counsel of a skilled attorney, the better your prospects are for collecting any monetary damages. Ellis Law’s Los Angeles product liability attorneys will work diligently to ensure you are compensated fully for all economic and non-economic losses related to your injuries. Call us at 310-641-3335 for a no cost evaluation of your circumstances.